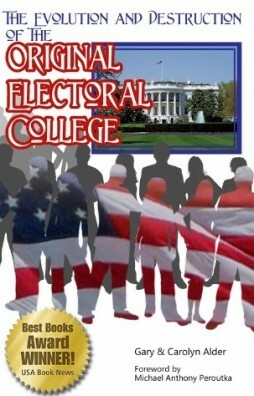 Each state was to appoint a number of Electors equal to the whole number of Senators and Representatives. The number of Representatives is proportional to the population of the state and two Senators is a constant allocated to each state. Thus the number is equal to the total congressional representation for each state. Notice that only the number of presidential Electors for each state is determined by following these instructions. The actual Senators and Representatives in office are precluded from being Electors. It has been said that the formula for determining the number of Electors is weighted to favor the small (less populous) states. We consider it to slightly reduce the advantage the large (more populous) states have. It must be remembered that the Framers were moving from a paradigm of equal representation of all states under the Articles of Confederation to a bi-cameral congress with one house represented by population (a new idea at that time) and the other house retaining the equal representation concept of the former system. Using this number does not dilute the influence of large states very much. It does increase the percentage of each small state’s tiny influence. The states with one Representative benefit most. We will compare the number of Electors that are allocated to several of the states using the weighted figures with the number of Electors that would have been allocated if the Framers had used only the number of Representatives. The figures show the percentage of the whole number of Electors for each state’s weighted and non-weighted number. The District of Columbia has no Representatives or Senators; therefore its Electors (see Amendment 23) are not included in these calculations. Notice that states with nine Representatives have the same percentage using either method.